Ex-Squeeze me! 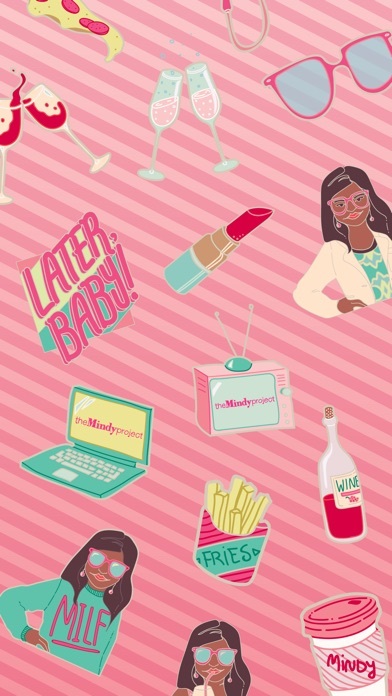 It's The Mindy Project's official sticker pack brought to you by Hulu. Featuring the icon herself, Mindy, the show's famous catchphrases, Mindy's favorite snacks and more! SCALE & ROTATE to layer your stickers onto photos, videos and messages! 21 stickers included! HOW TO ACCESS STICKERS AFTER INSTALLING: Step 1: Open a message with a friend and tap the ">" button to the left of the text box. 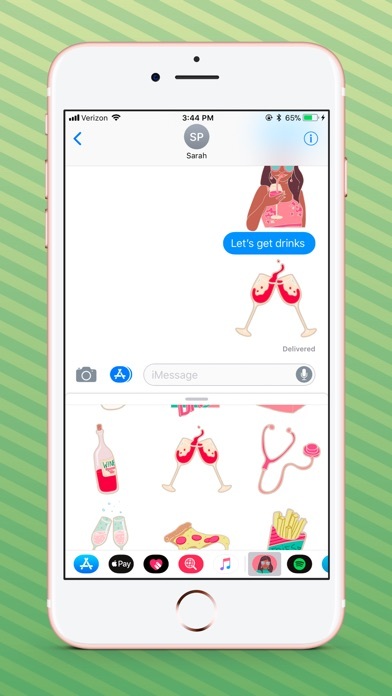 Step 2: Tap the App Store button that appears (it looks like an "A"), then tap the button that looks like four circles in the lower left of your screen to open your iMessage Sticker Drawer. Step 3: Look for the sticker pack icon, tap on it and start sending stickers!